At Drs. Dobbins and Letourneau‘s Dry Eye Center, we understand that your eyes, and how you use them, are unique. Things like work, hobbies, and climate all contribute to your individual dry eye concerns. We know that dry eyes can be uncomfortable, and sometimes impede on accomplishing even the simplest of task. That’s why we customize each treatment to meet your specific needs. New insight into the causes of dry eye, particularly the importance of normal meibomian gland function and the role of evaporative dry eye have increased the number and success of treatment options. We now can offer our patients a variety of therapies that didn’t exist only a few years ago. 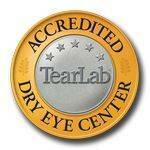 The Dry Eye Center is devoted to the advanced diagnosis and treatment of dry eye and ocular surface disease. We utilize the latest state of the art technology including Oculus Keratograph 5M infrared meibomography and non-invasive tear film breakup analysis and a variety of additional in-depth diagnostic tests. This combined with extensive experience and intense focus makes the Dry Eye Center of Drs. Dobbins and Letourneau a unique resource for dry eye and Sjogren’s syndrome patients in Lawrence, Baldwin City, Eudora, Tonganoxie and all surrounding communities. We encourage you to schedule a dry eye evaluation. The tears coat and effectively smooth the surface of the cornea – the clear tissue that focuses light into the internal structures of the eye. The term dry eye encompasses a constellation of signs and symptoms. 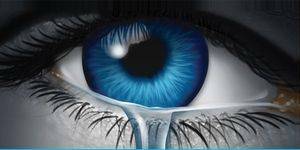 More recently, the complexity of the tear film and ocular surface has become increasingly apparent. Dry eye is typically chronic and progressive, but it can also be transient or episodic. Dry eye is more frequently seen in females than males and is more common with increasing age. Dry eye is usually diagnosed by patient symptoms and complaints. For that reason any quality dry eye work up begins with a thorough medical and eye history.